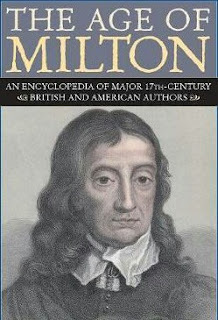 Home / History / History of English Literature / Honours 2nd Year / Major Features of The age of Milton. Major Features of The age of Milton. many ways. During this period, there was a decline in literary production. Metaphysical poetry developed with unexpectable variety. The development of prose was well-marked during the Age of Milton. Drama lost its grandeur and glory in this time. changed. The kings were the open enemies of the people. The country was divided by the struggle for political and religious liberty. Literature was also divided in spirit as the struggling political parties. Renaissance and those of the Reformation in the Age of Elizabeth. became less splendid and unified. In place of Sidney, Spenser, Marlowe and Shakespeare, we have Ben Jonson, Bacon and Donne. Exception is noticed only in the case of Milton himself. prose. John Donne started writing metaphysical poetry in the later part of the Age of Shakespeare. But in the Age of Milton, his poetry began to blossom. It was being written in full swing then. Crashaw, George Herbert, Vaughan and Marvell started following the tradition of Donne. They were called the metaphysical poets. They produced a kind of poetry in which conceit and learning were blended. They are usually lyrical in nature. Their work shows surprising blend of passion and thought. 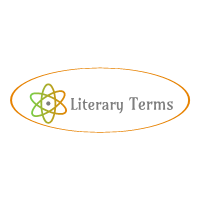 Metaphysical poems are full of learned imagery and striking conceits. They often reveal great psychological insight and subtlety of thought development. During the Age of Milton, there were some secular poets known as the Cavalier poets. They dealt with the subject of love. The Cavalier poets were Herrick, Carew, Lovelace and Suckling. They were masters in the art of producing love lyrics. They followed Ben Jonson in their classical restraint and concise lucidity. They were the Sons of Ben'. Their work is -simple, graceful in structure and highly polished in style. Thus we find two classes of poets in the Age of Milton. They are the Metaphysical poets and the Cavalier poets. But we cannot deny that both of them have enriched English poetry by their compositions. Elizabethan Age. Moreover, theatres were officially closed in 1642.
pleasures of this world. The liberty it allows often turns indecent.